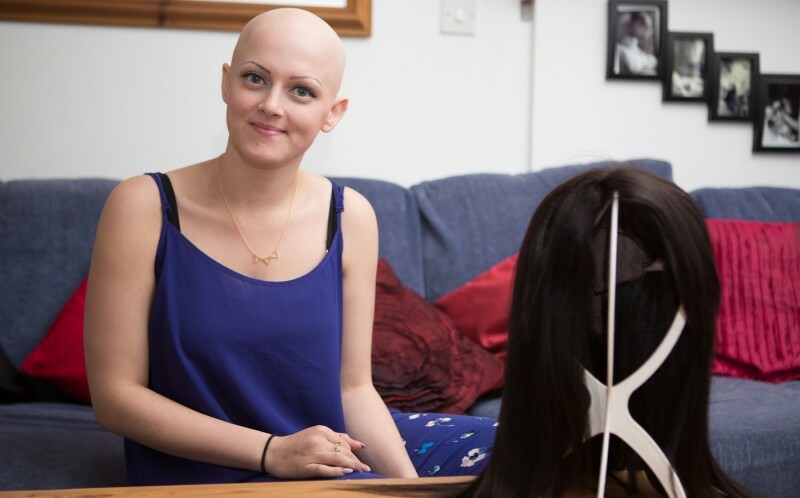 How do you actually choose your customised new wig? At Tango Hair Loss Clinic in Brisbane we can offer you a variety of options in customised wigs plus an additional two solutions, to regain your confidence through all stages of cancer. To discuss which solution best suits your needs call us on (07) 3366 1388 to arrange your FREE consultation in one of our private rooms. The information below will give you a better understanding of how to choose the best customised wig. If you have ever suffered from hair loss, wearing a wig is a practical, sensible way to quickly overcome the problem. But with so many to choose from, where do you start? 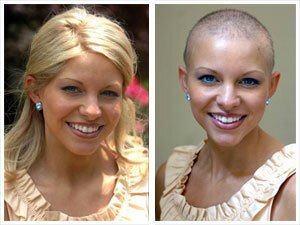 Hair loss caused by Alopecia, chemotherapy or even genetics can be a real blow to self esteem. So it is important that your new customised wig feels comfortable and looks natural. There are four main considerations for a successful hairpiece and it’s wise to investigate each one before you make a decision. They are cut, colour, composition and cap. A great place to start is the cut. There are literally hundreds of different styles, so you will need to consider the type of cut you would prefer to suit you. Wearing a hairpiece is a new experience and a wise idea is to consider a choice close to your natural hair style. You can always choose a more drastic style when you have become more familiar with the whole idea of wearing a wig. Sometimes different styles are more flattering to different face shapes, so don’t be afraid to try something out of the box to see which one suits you best. 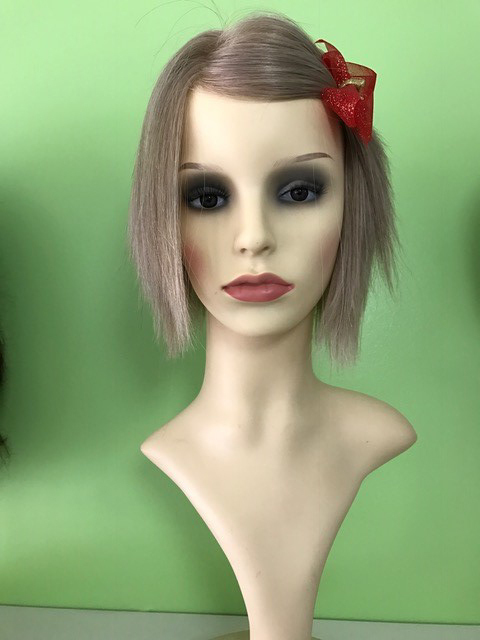 Remember you can always have your customised wig trimmed to suit your individual face shape. 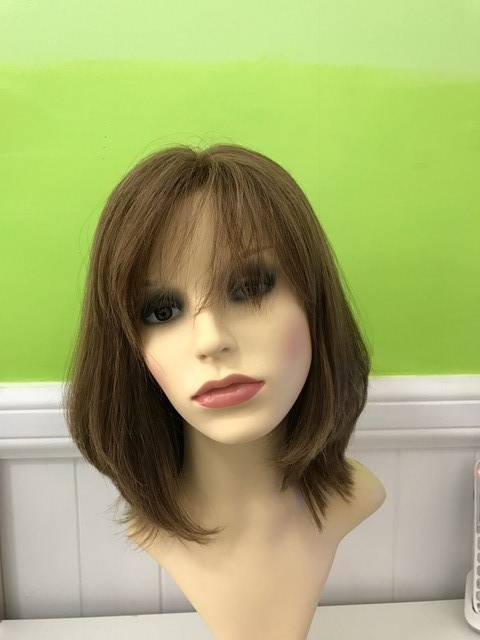 Most wigs have too much hair and need to be trimmed to create a more natural tailored look for you. Next up is consideration of the colour. It’s a good idea to choose a shade which complements your natural colouring including your skin tone and eyebrows. While you may love the idea of a platinum blonde hairstyle, if you have very dark eyebrows or a more olive skin type it is unlikely to be flattering. It’s generally a good idea to choose a colour close to your natural hair colour, but don’t be afraid to strike out and try a few different shades. After all you’re only experimenting to find the right look. 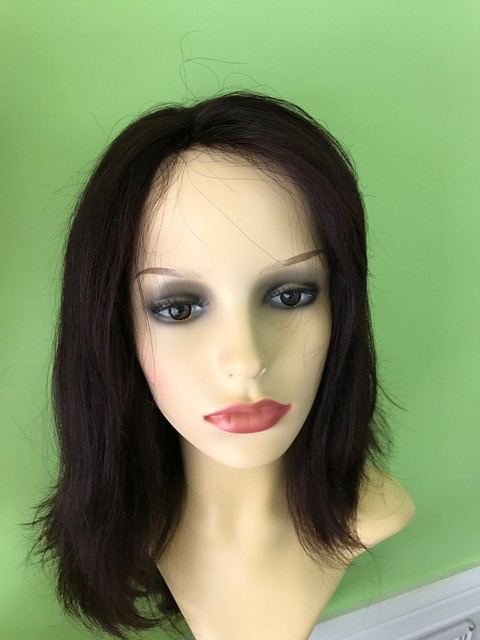 Now you will be faced with the choice of synthetic or human hair for your customised wig. While you may have some preconceived thoughts, it is important to note that both of these products have their own advantages and disadvantages. Human hair and higher quality synthetic compositions can look and feel very natural. However, human hair tends to offer the best versatility since you can use more styling tools. On the other hand hot tools cannot be used with synthetic options. Human hair does require more care and styling especially after it has been washed. Synthetic hair can often be worn straight out of the box and tends to be more affordable but will be less durable than human hair. With proper care, you can expect up to six months of wear with synthetic hair compared to twelve months or more from human hair. Human hair tends to have more bounce and swing, and a great many people feel that this makes you look and feel more natural. 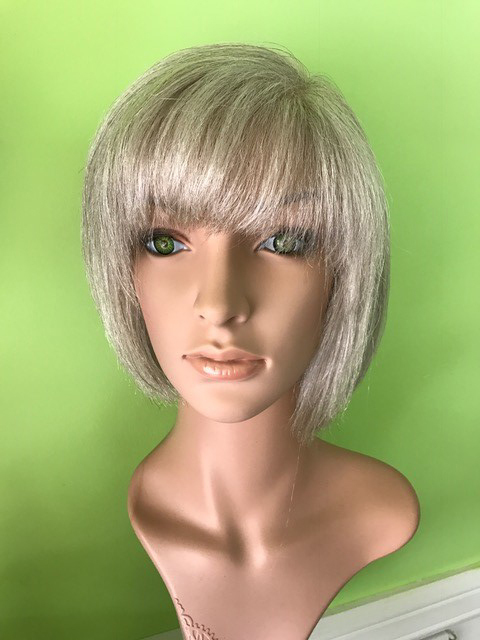 The cap of your new customised wig is an often overlooked factor as it can affect how natural and flexible your wig will perform. For example, if you like to pull your hair back you will need to have a lace at the crown to allow a natural looking hairline. You will also need to consider the cap size. 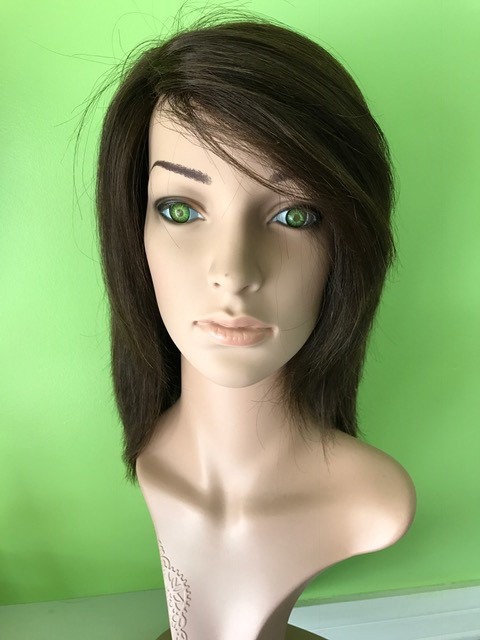 While average size wigs will fit the majority of people, you may require either a large or petite cap for the most natural and comfortable fit. Many models also feature adjustable straps to allow extra centimetres to get a more secure fit. Your cap size is determined by measuring behind the ears the circumference of your head from the front of your hairline to the nape of your neck and back. The average measurement is approximately 55 centimetres. However, this does vary according to the manufacturer and style. While you may be keen to buy a new hairpiece, it’s important to take the time to fully consider your options and choose the model best suited to your particular requirements. There’s no escaping the ravages of cancer on the body and the mind. And the chemotherapy treatment often results in hair loss. 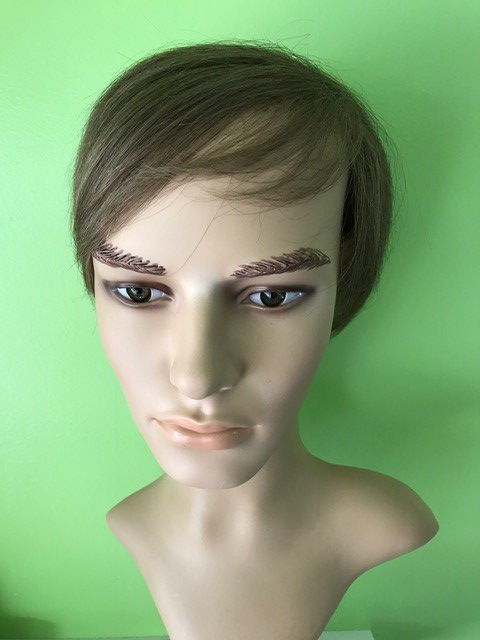 That’s why talking to a professional hair loss consultant to help you choose the right wig will not only complement your facial features and natural colouring, but will do wonders for your damaged self-esteem. And that’s what we do here at the Tango hair Loss Clinic in Brisbane. professional who will help find the right look for you. And, best of all, use a wig to get back that lost confidence and start feeling like you do matter.